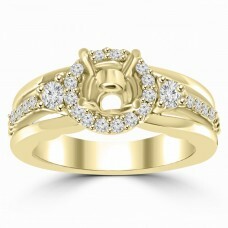 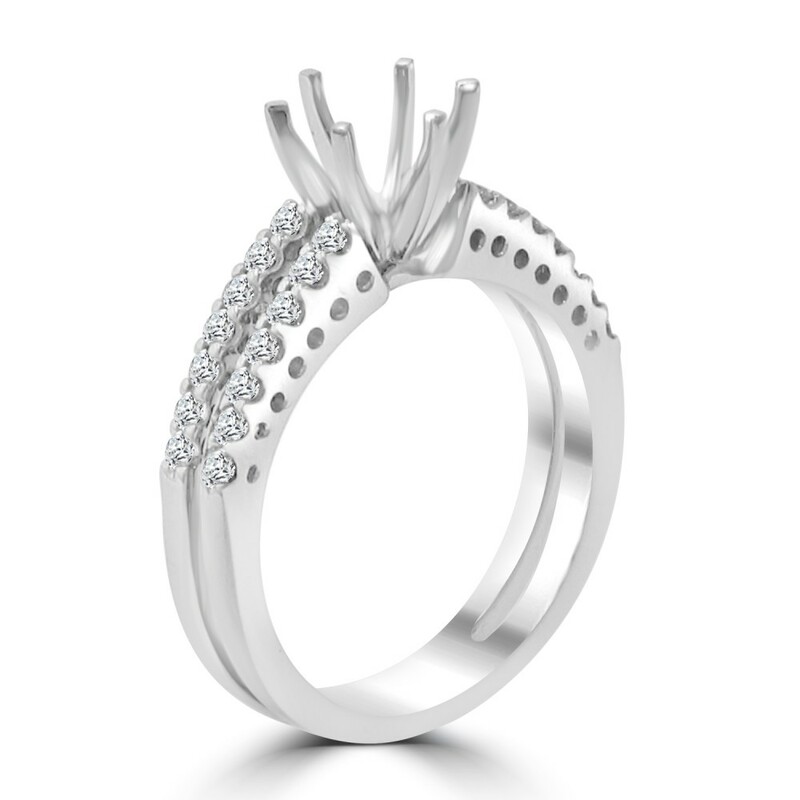 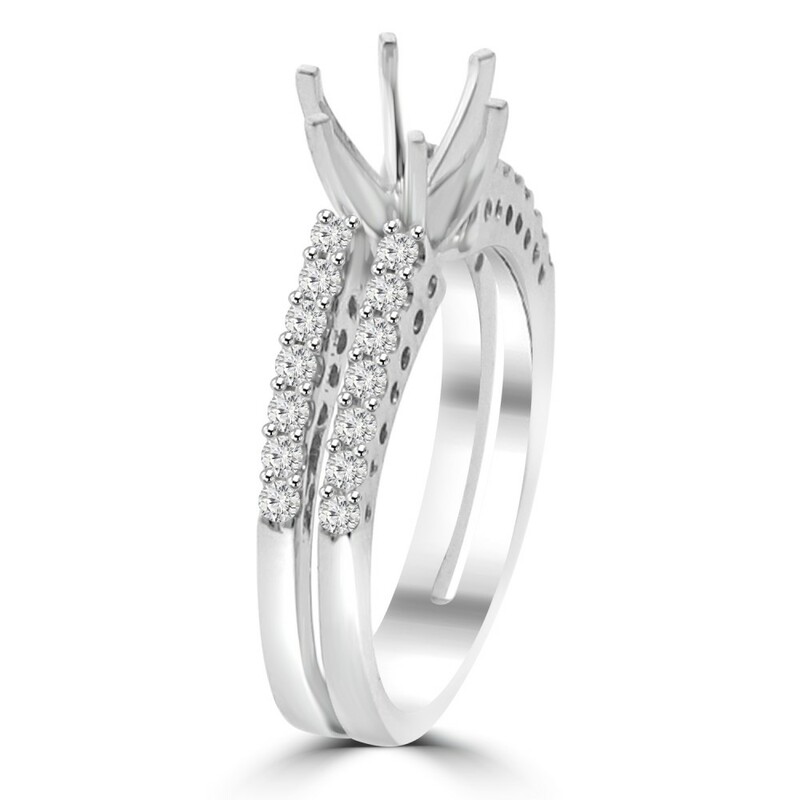 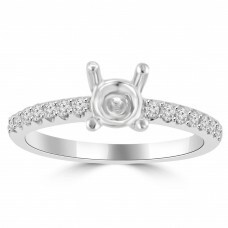 Let the true beauty of diamonds glisten, and say "I love you" with a band symbolic of your commitment to her. 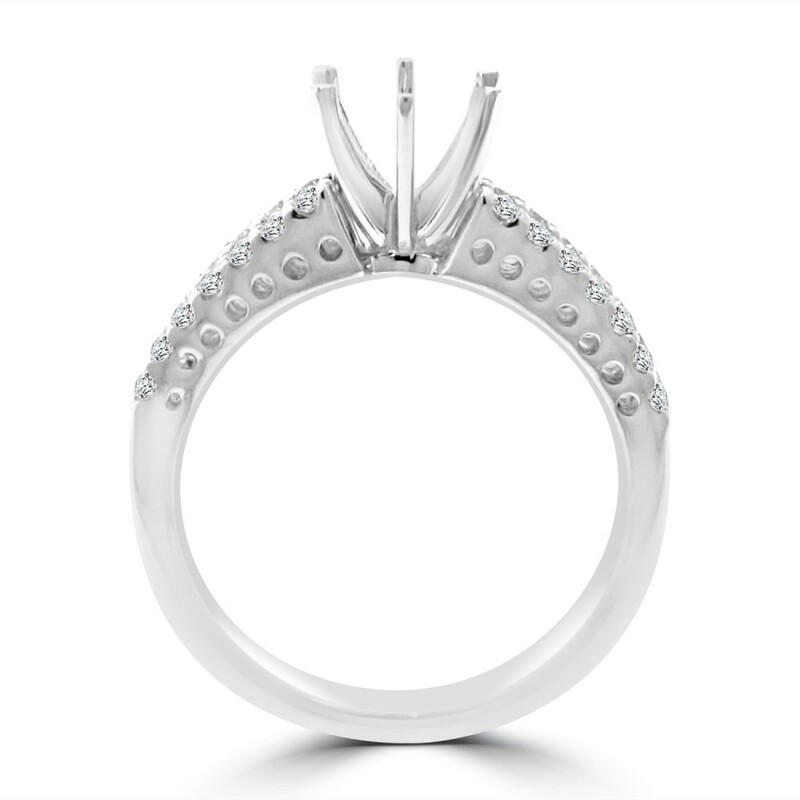 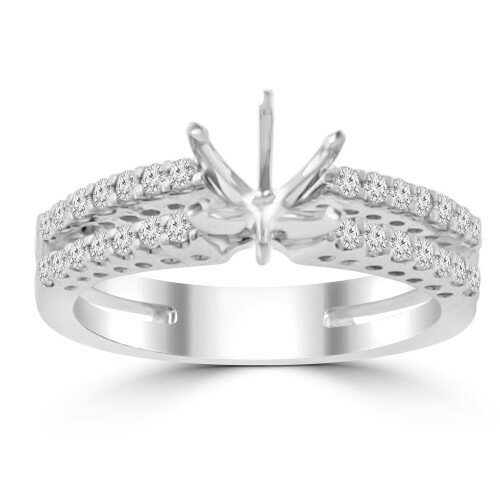 Totaling 0.65 ct., sparkling round diamonds line the middle and the edging of this beautiful 14 kt white gold semi mounting . 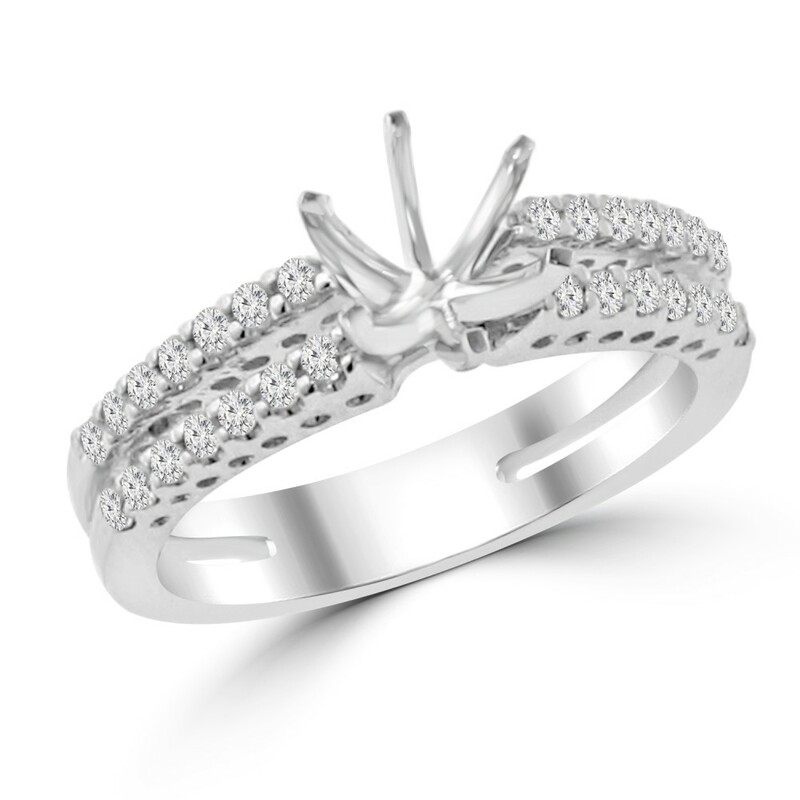 Whether you are celebrating a marriage, and anniversary or simply your love for her, a diamond ring makes a lovely gift for her daily enjoyment.